Mirrors are an amazing piece of decor because they can create the illusion that your space is bigger than it really is. A mirror that spans from one corner of your wall to the other will do just the trick! Invest in a large mirror to make your bathroom look bigger and more elegant. Tip 2: Splurge When Necessary. There are certain details in a bathroom that need the big bucks to look nice. Otherwise, you can choose what areas you want to focus on splurging within your budget. Tip 3: Keep The Plumbing. Your remodeling bill will add up as soon as you try to move around your plumbing. Try to keep everything in the same place to avoid racking up a huge bill. Tip 4: Make Your Decor Pop. Just because you are saving money does not mean you need to decorate like you are! Buy fun lighting, choose artistic paintings, and choose a unique paint color. Your master bathroom is your chance to get creative. Tip 5: The Little Things. A great way to save money is by doing some of the work yourself. If you are not necessarily handy, you could start by painting the bathroom instead of hiring a painter. This can save you money for other areas in the bathroom on which you want to splurge. 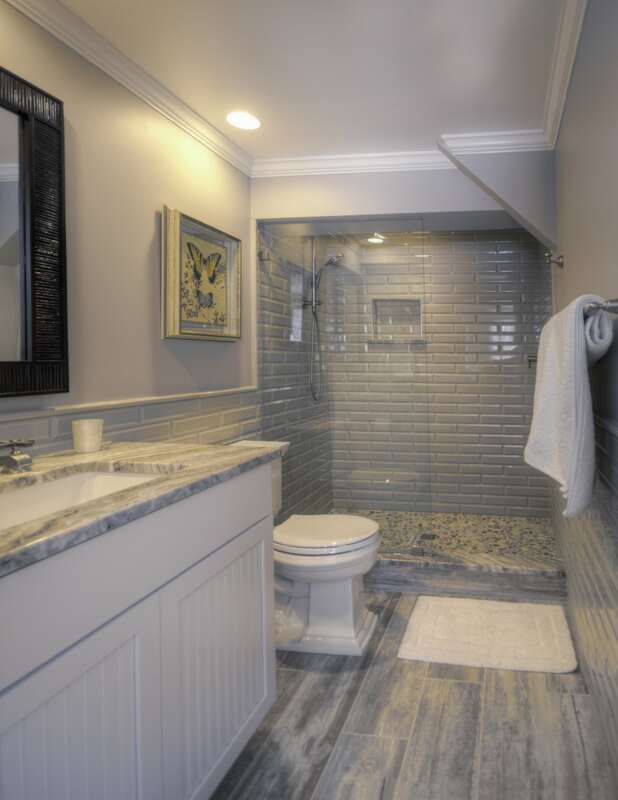 Imagine, getting out of your relaxing bathroom and stepping onto a warm tile floor. Sounds luxurious right? At Conestoga Tile, we offer the choice to add heated floors to your bathroom! To learn more about heated flooring, visit one of our showrooms and one of our knowledgeable showroom consultants will assist you. Don’t hesitate, stop in today and begin transforming your master bathroom into an indoor oasis! We look forward to working with you.